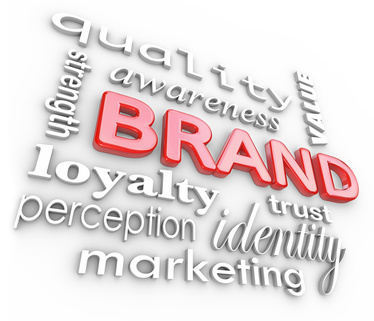 When it comes to branding your business, don’t get overwhelmed. It’s actually a very easy process and can be done cost effectively as well. I’ll walk you through the process (and recommend some great resources to get it done) right here. When most people hear about branding, they immediately think of large corporate brands like Coke, Apple, or Ford. These are powerful brands, with multi-million dollar marketing budgets and top notch talent managing them. However, they all have humble roots as well, and had to start at the bottom just like the rest of us! Once you have this on paper, everything else will just fall into place. So spend a few minutes thinking about this before you jump into creating your logo, marketing materials, brochures, and other customer facing communications. OK, now that you know what your USP is, consider it your promise to your customers. For example, if you are starting a restaurant and your USP is that your business provides the best service in the city, then this is your PROMISE to your customers. You must communicate it and deliver on it over and over again to build your brand into something that your customers believe in. Next comes the fun part of branding, which is developing the personality of your brand, and the materials to communicate your USP and personality to your customers. This is where I would recommend starting with the logo design, which can serve as the springboard for your color scheme and other marketing materials. There are dozens, if not hundreds, of companies out there that can develop a logo and corporate identity package for you (logo, business card, letter head, and envelope design). To save you some time weeding through the various options, below are a couple that I have used in the past and who I feel do fantastic work at a very reasonable price. I recommend going with a package that will get you the logo, business card, letterhead, and envelope design so that you can get all of those items “out of the way” and then move on to developing some of the more creative marketing pieces. After you have your logo done, your next step is to create your brochures, flyers, and any print or online ads that you need to promote your business. I would recommend creating at least one brochure for print and one online advertisement piece to start, after which you can build on those pieces as your business grows. For example, you’ll need additional flyers made when running sales or promotions, and brochures for new product or service offerings. If you can find and stick with one designer it will certainly make your life easier since that designer will learn your brand and be able to develop you materials quickly that are true to your brand identity and USP.